You can think about the Nook Color as a stripped-down tablet focused on reading or a very fancy ebook reader. Not to get overly philosophical about it, but that context will ultimately determine how you feel. For now, you'll be much happier if you think about it as the latter. But it's arguably the first seven-inch device that's been designed to be one from the beginning, rather than a puffed-up phone. This is a capable little thing, potentially the first of a new kind of cheap tweener tablet with functionality that's both broad but limited: Besides books, it delivers full color magazines and newspapers from most all of the major publishers; it can surf the web, play music and videos, even run Android apps like Pandora (if they go through B&N's app store, which opens next year). One thing's for sure: As the first major color reader, it's gonna be on a lot of Christmas lists. It's dense. As in, deceptively heavy—15.8 ounces, despite being legitimately thin. The back is subtle, perfect amount of rubbery, so you won't drop it, but you won't get that weird hand sweatiness cheap soft-touch material sometimes generates. A fair amount of the weight is battery, I think: while the usage model is more iPad than Kindle in some ways, I easily made it through a couple days of fairly heavy usage without even turning off Wi-Fi. I hope you don't mind glare when you're reading. At 7 inches, this Technicolor Nook is ironically still best for reading straightforward ebooks. And it's about as good as reading can be on a backlit glass screen (more pixels and less glare would be more better, but it actually bests the Kindle 3's pixel density, 169ppi to 167). Reading stuff other than ebooks is an interesting set of tradeoffs, largely because of the constraints of a 7-inch screen. Magazines are presented as full-page, unreadable facsimiles of the real thing, which you can zoom in and pan around. Or you can use Article View, which pops the text out from the page and reformats it in a narrow column—exactly like Safari Reader. It's more readable, but completely breaks any fidelity to the magazine experience. Newspapers go through similar contortions to fit: B&N reformats them so that they're presented the same way as ebooks: page by page. It's okay at most of the things that fall outside of the core reading experience. (And Pandora.) The web browser works, but it generally tells sites it's a desktop browser instead of a mobile one, so you sometimes get weird formatting (like with Gmail) or a site that's too big for the Nook's tiny ereader britches (new Twitter wreaks havoc). Mobile YouTube and Vimeo videos work, but they come in super low-res. Still, it's important to note that it can do these things. I kept thinking how great Nook Color would be with a few apps to really round it out as a do-it-all reader: something like Instapaper to save web articles for offline reading; Flipboard to pull in articles people are sharing on Facebook and Twitter; a good RSS reader. With those, it'd border on amazing. Exactly what a 7-inch tablet should look and feel like: extremely thin, incredibly sturdy, completely straightforward. But it feels fresh, too. 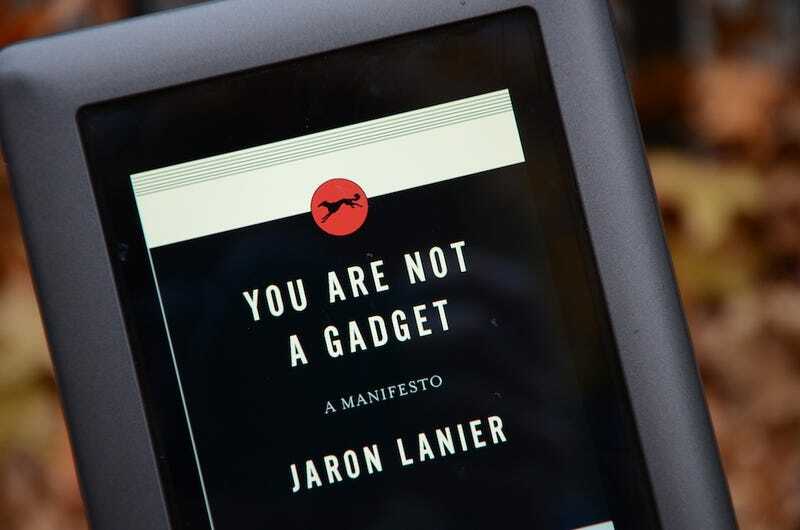 Reading text is totally comfortable on the 1024x600 IPS display, which is the ideal size for ebooks. It nails what this size device is really good for. Upgraded LendMe feature for borrowing and requesting books is cool (if you've got friends with Nooks). Epub support makes grabbing and loading up your own books easy. Full, free access to the entire electronic B&N catalog while camped at their stores. The USB charger glows (! )—a little thing, but a nice touch. And how can you not love the price? It overrules nearly every tradeoff and compromise. Interaction is more chunky peanut butter than butter smooth. Animations, touch response and transitions all feel slow, even when they're not exactly lagging, which happens a fair bit—whether you're opening books or pinch-zooming in magazines. It's like they were animated without enough frames. Or worse, there's no animation at all—no page turning or sliding animation for standard ebooks (even the nook iPad app does this). New pages just appear, like an e-ink reader. In general, interaction can be very hit-or-miss—like the original nook, all over again. The web browser has its limits: No pinch-to-zoom! The aforementioned mobile/desktop browser identity crisis, leading to formatting or slowness. Online video experience is often crummed out with super low-res video. I couldn't get any of several correctly encoded videos that I loaded up through the SD card to run either (pictures and music worked fine). At very nearly a pound, it's a little heavy. Caught between two worlds, the Nook Color is an undeniably interesting, if somewhat conflicted device. It's not quite a tablet, but it's more than a simple ebook reader. It can do things that an e-ink reader simply can't—even if it doesn't always excel at them—but it's nearly as cheap at $250. At half the price of the Tab or iPad, if you're looking for a super portable tablet thing that's primarily for reading, it's hard not to give the seriously capable Nook a long look, even if you might wanna wait 'til the B&N app store opens and it gets its first major update early next year for maximum goodness.